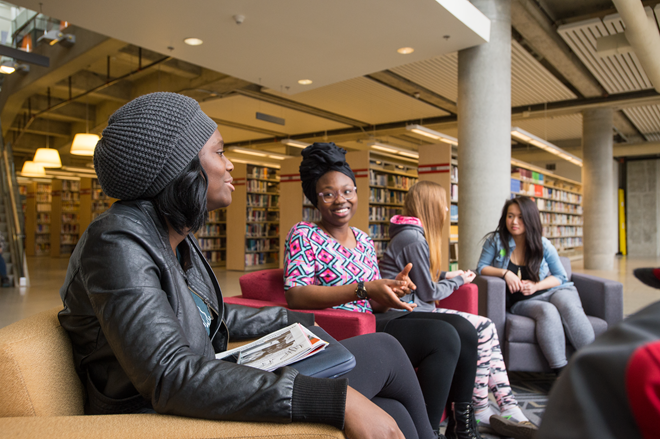 UAlberta Libraries are dedicated to helping every student excel in scholarship and knowledge. For more than 100 years, we have been a trusted and fully-inclusive unit dedicated to “uplifting the whole people”. During this season of hope and renewal, we hope that you will partner with us as we continue to equip students with the necessary tools for critical thinking and lifelong learning. When you choose to support Libraries, you are making a choice to uplift knowledge and support learning opportunities that yield positive results for our students, our province and our nation. Please join us in serving as a nexus between people and information, guiding students on a path to greatness that promotes new scholarship, research, ideas and innovation. From everyone at Libraries, it is a pleasure to extend the season's best to those we so deeply appreciate. We hope you will join us this holiday season in “uplifting the whole people”! Exams are over… Time to sit back, grab a cup of nog and veg out in front of the television for an overdose of festive flicks. UAlberta Libraries has you covered for all your holiday movie needs. Our streaming video databases, Kanopy and Criterion-on-Demand are home to an endless supply of movies to keep you entertained throughout the holiday break. Christmas Comfort Food - Bonafide holiday classics; the ones that play ad nauseam through the month of December. A Christmas Carol - Both the 1938 and 1951 versions of Ebenezer Scrooge’s tale of redemption. It’s a Wonderful Life - George Bailey and Clarence the Angel take a Christmas Eve journey to an alternate universe where George never existed. A Christmas Story - All Ralphie Parker wants for Christmas is a Red Ryder B.B. Gun. Die Hard - John McClane takes on an high rise full of terrorists to save his estranged wife and her co-workers on Christmas Eve. National Lampoon’s Christmas Vacation - Chronic mishaps threaten to derail Clark Griswold’s perfect family Christmas. Home Alone - Kevin McCallister vs. The Wet Bandits in an epic tinsel-strewn battle. Elf - Buddy, raised at the North Pole as an elf, returns to New York City as a grown man to find his real father. Alt-Christmas Cinema - For those tired of bells, angels and BB Guns. Films that aren’t thought of primarily as Christmas movies, but share an undeniable yuletide flare. Meet Me in St. Louis - Vincente Minnelli’s musical that is a summer, Halloween and Christmas movie in one delightful package. Judy Garland’s rendition of Have Yourself a Merry Little Christmas is a showstopper. Black Christmas - Predating John Carpenter’s Halloween by 3 years, Black Christmas is the original holiday-themed slasher movie. Gremlins - Sticking with the horror theme... Things go awry in the picturesque town of Kingston Falls when Billy Peltzer’s Christmas gift, a mogwai named Gizmo, gives birth to a horde of destructive gremlins. Edward Scissorhands - Tim Burton’s fairy tale about a young man with scissors for hands traversing a suburban minefield in search of love and acceptance. Eyes Wide Shut - Stanley Kubrick and Tom Cruise take viewers on a strange odyssey of desire, jealousy and betrayal through the streets of New York at Christmas time. Carol - Todd Haynes’ sumptuous romance between a shop girl and a high society woman. Christmas Movies? Bah humbug! - Don’t celebrate Christmas or despise anything holiday related? 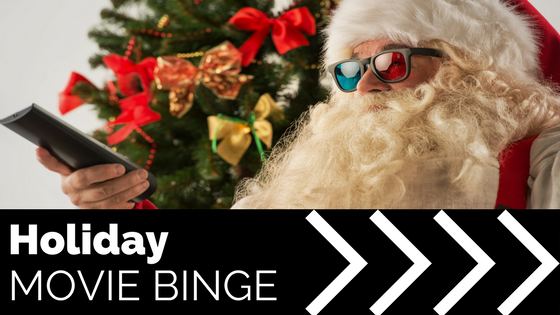 We offer access to hundreds of movies that have nothing to do with the holly jolly season. 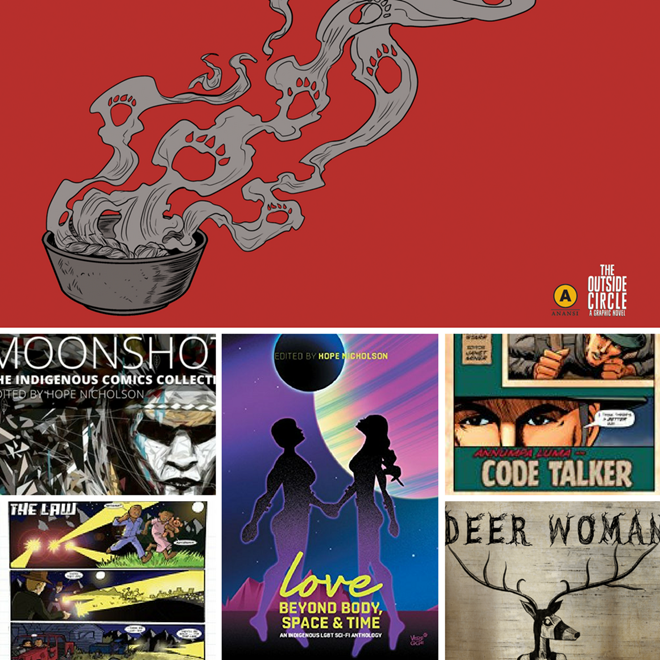 Here’s a few worth checking out. Safety Last! - If you’ve never watched a silent film, you could pick worse places to start. This highly entertaining Harold Lloyd film is famous for the sequence where Lloyd scales a building and dangles from its clock. McCabe and Mrs. Miller - Set in a wintry Pacific Northwest logging settlement that grows into a town, Robert Altman’s revisionist western about a gambler and madame who build a successful business only to fly too close to the sun is breathtakingly beautiful and melancholic. The gorgeous Leonard Cohen soundtrack adds to its mournful allure. Take Shelter - Michael Shannon plays a father plagued by visions of impending apocalypse. Is it the onset of mental illness; or is there something to his visions of doom? Hunt for the Wilderpeople - Funny and touching, Taika Waititi’s tale of a city kid, Ricky, on the run from New Zealand’s Child Protective Services with his countrified foster uncle. The unlikely duo must work together to evade the authorities in the New Zealand wild. Darryl Hopkins! This award recognizes Darryl for being an outstanding support staff member & for his extraordinary contributions to the University. 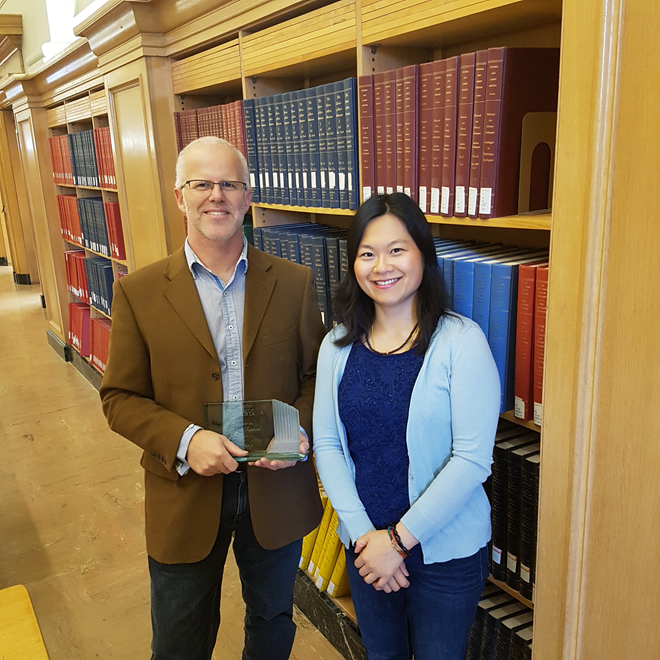 He has worked for the Libraries for over thirty years and is honoured with the award that is "designed to recognize the outstanding members of the University of Alberta Support staff and the extraordinary contributions they make to the University." Without him, I believe the Libraries would suffer greatly, he is always ready and willing to help, regardless of the task. Darryl always has a smile on his face and is happy to help with anything, regardless of how early in the morning it is. Everyone knows that they can rely on him for the many tasks that fall into his lap. Whether it’s repairing furniture, making sure our locks work, or taking the lead on Cameron fire-drills Darryl always takes the time to do a first rate job and does so while treating those around him with respect. Darryl may be a jack of all trades, but he is a master of personable and nice! We would also like to acknowledge our colleague Ina Kwon, at Bibliographic Services, on her service award. Congratulations Ina on 40 years of service! See the full list of those celebrating milestones at the University of Alberta. Tuesday, December 6th is the National Day of Remembrance and Action on Violence Against Women. On that day, 28 years ago, 14 women at l'École Polytechnique in Montreal were murdered simply because they were women studying at a post-secondary institution. Participate at a memorial event held in the Students' Union Building (SUB stage) December 6th at Noon. You may wish to attend as an opportunity to reflect on the problem of violence against women in our society and consider concrete actions leading toward the elimination of such violence in the future. The world of open access contains a colourful array of options for researchers who want to make their findings publicly accessible. Terms like green OA, gold OA, and even diamond or platinum OA are often used by publishers and funding agencies to describe different kinds of "open," but the distinctions can be confusing! Green Open Access mean that a version of the author's manuscript OR a copy of the published version of the article is made freely available through an institutional or subject repository, like ERA, PubMed Central, or arXiv.org. Green OA is usually free for the author, and may have conditions imposed by the journal. A recent article exploring the benefits of open science found that 72% of publishers allowed their articles to also be shared through green OA. The University of Alberta Libraries can work with you or on your behalf to deposit your articles in our institutional repository, ERA: Education and Research Archive. Gold Open Access means that the article is published by the journal as an open access article and is made available free of charge through the journal's publishing platform or website. Many (but not all) publishers charge article processing charges (or APCs) to authors to publish gold OA. 2. Green and Gold OA both meet the requirements of the Tri-Agency Open Access Policy on Publications. If you are required by your granting agency to make your research OA, but aren't sure how, contact your subject librarian or the ERA Helpdesk as erahelp@ualberta.ca / 780-492-4359. 3. Green and Gold OA can peacefully co-exist. If an article is published in a gold OA journal, it can often be shared in an institutional repository as a green OA article. This can lead to greater exposure for OA articles, as well as provide additional safeguards for the long-term preservation of the article and allow institutions to display more complete collections of their researchers' works in their repositories. 4. There are better ways to understand how open a journal is. 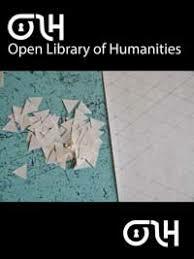 For example, the large non-profit OA publisher Public Library of Science (PLOS), the Scholarly Publishing and Academic Resources Coalition (SPARC), and the Open Access Scholarly Publishers Association (OASPA) have created HowOpenIsIt.This guide looks at the openness of content for readers, the ease with which authors can share their work, and whether software programs can mine text and metadata. Look up your favourite journals on the OA Spectrum Evaluation Tool and see how they stack up! Many thanks to Kayla Lar-Son for her contribution to this article. Working within Indigenous librarianship, we often get asked how people can participate in reconciliation. Reconciliation can be very slippery as it is a topic that is partnered with intense emotions coming both from Indigenous and non-Indigenous peoples. While there is a lot of work to be done towards reconciliation, it doesn’t need to be a scary task. Everyone can and should participate! There are many everyday ways to start your own journey towards reconciliation. There are lots of resources to get you started too! For example, you can check out Crystal Fraser and Sara Komarnisky’s “150 Acts of Reconciliation for the Last 150 Days of Canada’s 150”. OR! You can view RISE’s (Reconciliation in Solidarity) eZine: 150 Everyday Acts of Reconciliation. This issue features artwork and ideas from people all around Edmonton. Both resources suggest curling up with a good book. This suggestion gets a librarian stamp of approval! 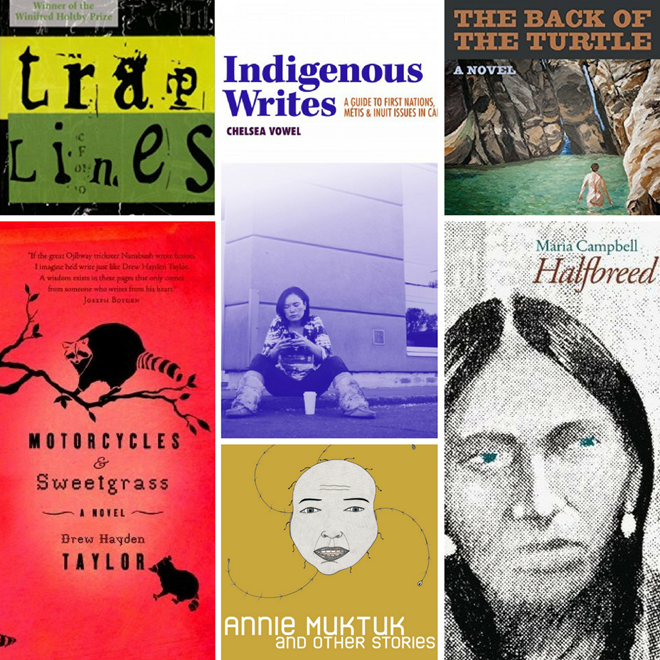 If you’re looking where to start, I suggest looking to Indigenous writers (there are a lot!). If books aren’t your thing -- welcome to the club! Yes, I’m one of those crazy librarians that don’t read books. 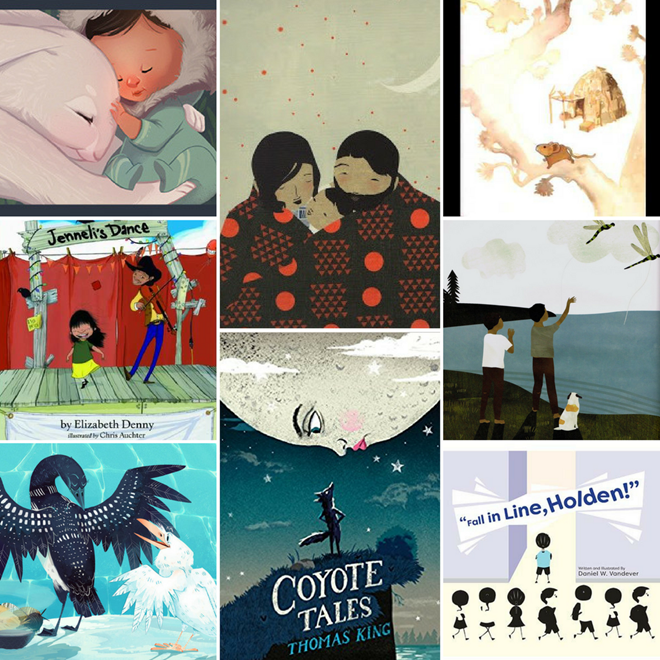 My books come in the form of Graphic Novels, Documentaries, and Children's Picture Books. If you have little ones at home, you might want to consider stopping in to HT Coutts Education & Physical Education Library. There are puppets there. Yes, puppets! That, and they have loads of Children’s Picture Books. There are many great books surrounding reconciliation and Residential Schools in our collection, but when I read to my kids, I am drawn to the books that highlight our stories. This was one of my favourites to read as a child! 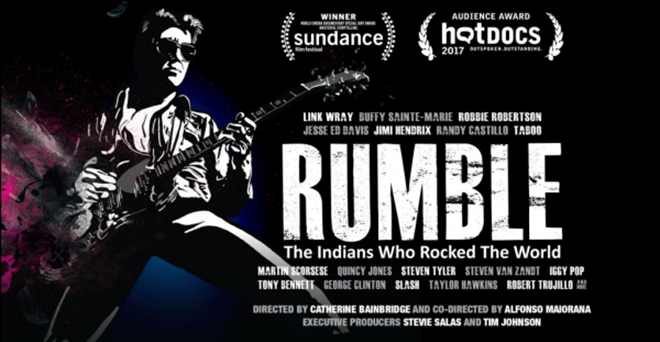 Whether you’re a bookworm or a film fanatic, these titles are sure to put you on a path towards further understanding the Indigenous Peoples of Canada. 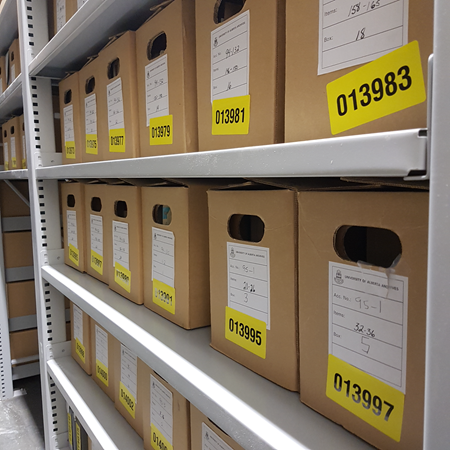 The archives move into the new Research and Collections Resource Facility (RCRF) will be complete at the end of November ... a month ahead of schedule! We expect that the Reading Room will be available for archive appointments in January. Stay tuned. 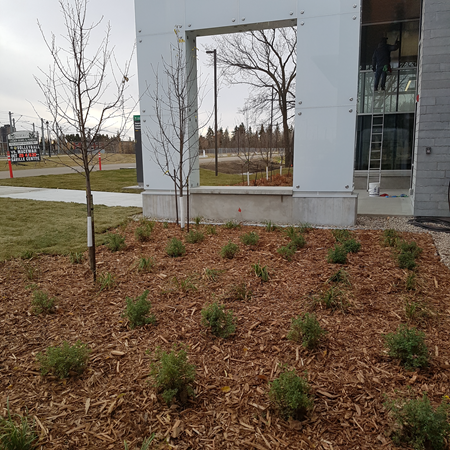 Fun fact: the shrubbery at the front of the RCRF were chosen with the #yeg bunnies specifically in mind. The shrubs are snack-friendly for our local furry friends. Get real news from five of the most respected daily newspapers in the United States. Updated every morning with the latest issues, and with content going back to the 1980’s, US Major Daily Newspapers is the best place to search for timely news stories. Search across all five titles to compare how news stories are covered, or do a deep dive by looking at decades of coverage on important social, political, or business issues with one easy search. Looking for Canadian or other international news? 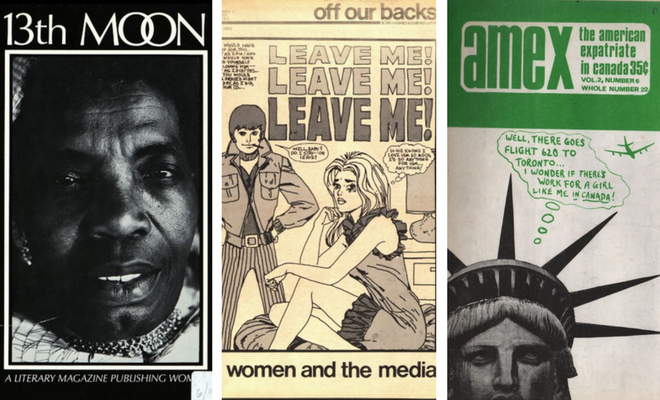 Check out the full list of News Sources the Libraries makes available to students and faculty. In most areas of the libraries you are welcome to bring your food and drinks with you. Feel free to grab a coffee or bring snacks for your study session. Just remember to take away any garbage with you and ensure you leave behind a clean space for the next user. For some people strong scents or perfumes can cause serious physiological side-effects, such as headaches. Avoid using scented lotions or perfumes when you plan on spending time in the library. 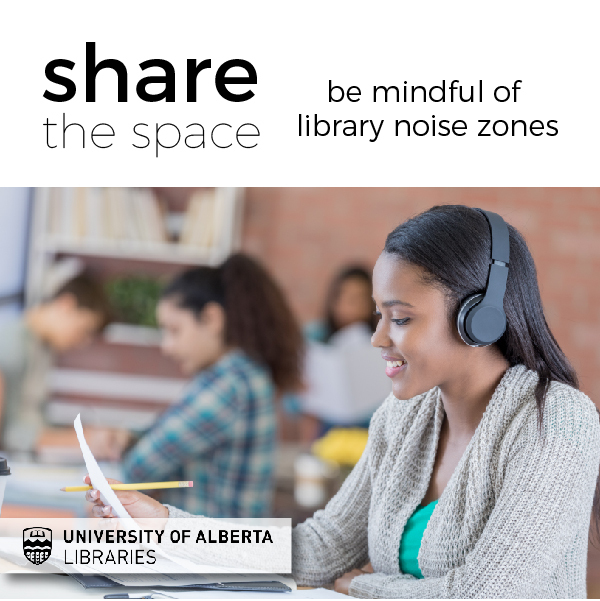 Many new users to the libraries may be unaware that each of our campus libraries has "Noise Zones" that indicate what level of conversation and sound is acceptable. Library users need our spaces for various purposes, some need a space to meet and plan group projects with classmates while others need a place to focus in quiet. Check out the library noise zones directory for your favourite library and be mindful of what type of activities your are doing in silent or quiet zones. The libraries also have numerous group study rooms you can book with your ccid and password for group meetings or study sessions. The libraries provides study spaces and computer spaces for our community and many students rely on our computers to complete their school work. We discourage the 'claiming' of spaces by leaving behind belongings when leaving to go get food or to attend class. Make sure to take all your belongings with you when leaving the library. Also, many libraries now have laptop tables for those with laptops - avoid occupying a desktop computer seat if you are not using the computer. Finally, we encourage library users to let us know if they find they are experiencing an issue that affects their comfort and use of the library. You can always mention issues to library staff at library service desks or contact us via our chat service at ASK US on the website. The University of Alberta Libraries have several collections focused on the World Wars. Trench Journals and Unit Magazines of the First World War features rare magazines published by every type of military and support service unit, from every involved nation. Trench journals allowed men and women engaged in all aspects of World War I to share their thoughts and experiences. The First World War is a collection of primary source materials organized by themes of Personal Experiences, Propaganda and Recruitment, and Visual Perspectives and Narratives. 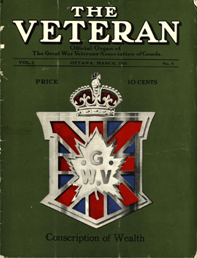 Canadian content includes materials from Mills Memorial Library’s First World War Collections at McMaster University such as personal collections, albums, photographs, trench journals, sheet music, visual sources and trench maps. Also included is material from the Vera Brittain Archive, a collection of her wartime diaries and letters and a heavily annotated first version of her celebrated autobiography Testament of Youth. The First World War collection also includes the sheet music for In Flanders’ Fields, the famous war poem written by Canadian Lieut. Col. John D. McCrae and set to music by Alfred Hiles Bergen. World War II: U.S. Documents on Planning, Operations, Intelligence, Axis War Crimes, and Refugees features primary source materials including Franklin D. Roosevelt’s Map Room Files, Records of the Joint Chiefs of Staff, Records of the War Department Operations Division, U.S. Navy Action and Operational Reports, Records of the Office of War Information, Papers of the War Refugee Board, and Top Secret Studies on U.S. Communications Intelligence during World War II. The collection includes government documents, maps, reports and memoranda reflecting Canada’s participation in the war. 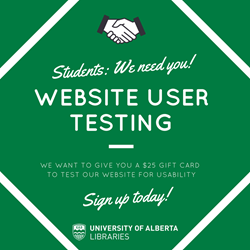 The UAlberta Libraries are conducting usability testing on our website, library.ualberta.ca. We are looking for students (undergrad, graduate, PhD) to record their interactions with the site. The session will take about 60 minutes to complete. By participating in this website usability study, you will receive $25 in ONECard cash. To apply, please complete this form and you will be contacted if selected. On October 16, we welcomed a brand new publication into the world! COMPASS: The Student Anthropology Journal of Alberta published its inaugural issue, featuring articles from undergraduate, MA, and PhD research of students at the University of Alberta, MacEwan University, and the University of British Columbia, spanning topics as diverse as investigating the possibility of celiac disease in Ancient Rome, to using fossils to identify the origin of stone tools in southern Alberta. We interviewed the Editors-in-Chief of COMPASS, Katherine Bishop and Victoria van der Haas, both PhD Candidates in Anthropology at the University of Alberta, about the value of student journals. Why do you think student journals are important? Victoria: For me, students journals are important for two reasons: experience and learning. This goes for the writers as well as the people behind the journal. It allows students to explore and share research is a non-threatening environment, which is so important for their growth and development in academia. In addition, it also provides them with a bit of exposure. Katherine: I love working with student journals; they provide so many different opportunities. As an author you learn how to work with feedback. You get a taste for publication in a low-stakes environment and get a final product that looks impressive on a resume. It allows you to grow as a researcher and experience one of the processes that professionals in our field must go through as part of their careers. As a reviewer it will also improve your writing, reading, and ability to give constructive feedback. What have you learned from your work on student journals? Katherine: I have had the chance to work with three student journals at three different universities. My role has changed from an author to a reviewer and copyeditor, and more recently, an editor in chief for COMPASS. Each role brings different challenges but it has been incredible to see what I have learned with each experience and even more impressive to see how I have used this experience in my own academic and professional endeavours. I can genuinely say that over the last six years I have become a better writer because of my involvement with student journals. I have also become a better reader. Depending on your role with a journal you are looking for different things: grammar, style, referencing, formatting, etc. Each role requires you to read or review a paper differently, which changes how you approach reading for research. Now that I am an editor in chief I have experienced how to manage a team and work with the process through a new electronic forum which has been a lot of fun. Victoria: The most important thing I learned is just how much work actually goes into putting together a journal. It seemed like a very straightforward process, but there were more steps involved than I initially assumed. It taught me the importance of time management. What advice would you give to students who are interested in starting or volunteering for a student journal? Victoria: Make sure you commit and you have the time to do it. As interesting and exciting as it is to start such an endeavour, you must realize nothing will happen if you don't put in the work. It will take time to review a paper, send it back to the author(s), review it again, copy-edit, etc. COMPASS started a year ago, but only now are we able to put out our first issue. Teamwork matters! 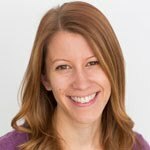 Katherine: If you have the time and are interested in becoming a better writer, editor, and reader of different works – just do it! The UofA’s campus is an incredible environment to help you get involved and succeed with your initiatives. There are lots of different student journals on campus that are always looking for people to help them. If there isn’t one that relates to your research, consider starting your own. That is what happened with COMPASS. We reached out to our department’s library liaison and he soon put us in contact with Sonya Betz, Digital Initiatives Projects Librarian. Not only that, but by contacting other student journals we were able to see what did or did not work for them. The Journal community is very supportive and a great resource. Anything else you want to say about journal publishing? Katherine: Work with people that you enjoy. People who have similar work ethics, goals, and understandings. My Co-Editor has been a huge help during stressful times throughout our project. Being on the same page about what we wanted to accomplish, how, and recognizing that this was a “for fun” volunteer initiative went a long way for our continued success together. Victoria: Enjoy what you do. Everything will be a lot easier if you treat it as a fun side-project, not a job. As a student you'll always have a million things going on, so you need to make sure this isn't just another "chore". For more information about the Libraries’ free open access journal hosting service, please contact Sonya Betz, Digital Initiatives Projects Librarian (sonya.betz@ualberta.ca). Our friends at the Centre for Teaching and Learning are celebrating Open Access Week too! We asked them to share this guest post on Open Educational Resources for today's OAWeek post. OER (open educational resources) are teaching and learning materials that allow free use and reuse, without charge. 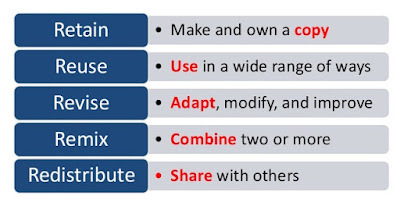 OER often have a Creative Commons license that states specifically how the material may be used, reused, adapted, and shared. OER can unlock freedom and creativity in the classroom. Instructors are exploring the use of OER to reduce textbook costs, customize activities and assignments, increase engagement with learning materials, and even co-create resources with students. Adapting and sharing OER also builds community among educators and scaffolds collaborative practice. Using OER in place of a textbook or other proprietary learning material opens the door for student agency in how they consume this material (for example, students may re-format the content in a way that is more palatable to their learning preference), and the opportunity for instructors to facilitate activities such as non-disposable assignments. The true power of open comes not from a resource being free of cost but rather from the freedoms to reuse, retain, redistribute, revise, and remix content. These freedoms empower both students and faculty while widening access and supporting the democratization of education. (Jhangiani). Using OER allows educators to customize content to increase relevancy and ensure inclusivity. 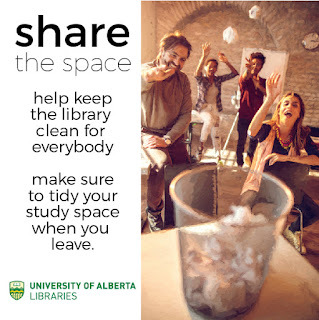 By sharing educational material “in the open” with open licensing, the impact reaches beyond students at the University of Alberta by increasing accessibility and availability to informal and lifelong learners. David Wiley’s 5Rs are frequently cited as defining traits of OER. Wiley states: “Open educational resources are defined as “any copyrightable work that is licensed in a manner that provides users with free and perpetual permission to engage in the 5R activities”. Open Licensing your educational content is one way instructors can get started with OER. AASUA members retain the copyright in the course materials they create and assign an OER-compatible licence. The copyright status on your work does not change when a standard open licence is assigned, such as Creative Commons. Revising and remixing content is the key to OER. By revising and remixing educational materials, instructors can customize and tailor their instructional materials to meet their students’ needs. By requiring students to revise and remix this content as assignments, instructors can create unique learning experiences, encourage discussion, debate, and uncover new perspectives. 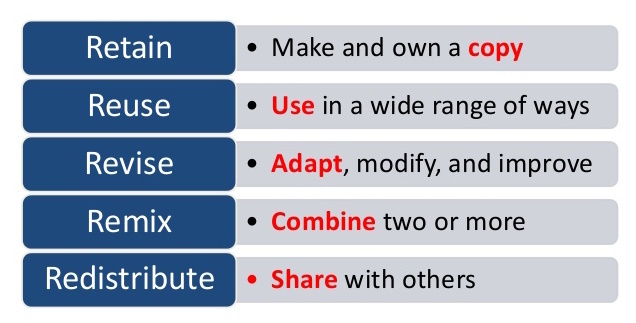 Three common methods to discover OER is through the Creative Commons, BCcampus, or OER Commons websites. However, these are just three of many other ways. The chart below can be helpful in determining what and how a selected OER may be used. For example, if you select a resource which carries a CC-BY-SA license, you may engage in all 5Rs but you must revise and remix the resource only with content which is also of the same license (CC-BY-SA). If you’re interested in exploring OER further, whether it is to adapt existing work, adopt it into your course, or create new content, the Libraries and CTL are here to help! Your Subject Librarian can be a great starting point. You may also want to check out the CTL Open Education page and consider booking a consultation, read more on the open education movement on the UA Libraries Open Education libguide, or join the UofA OE Interest Group. 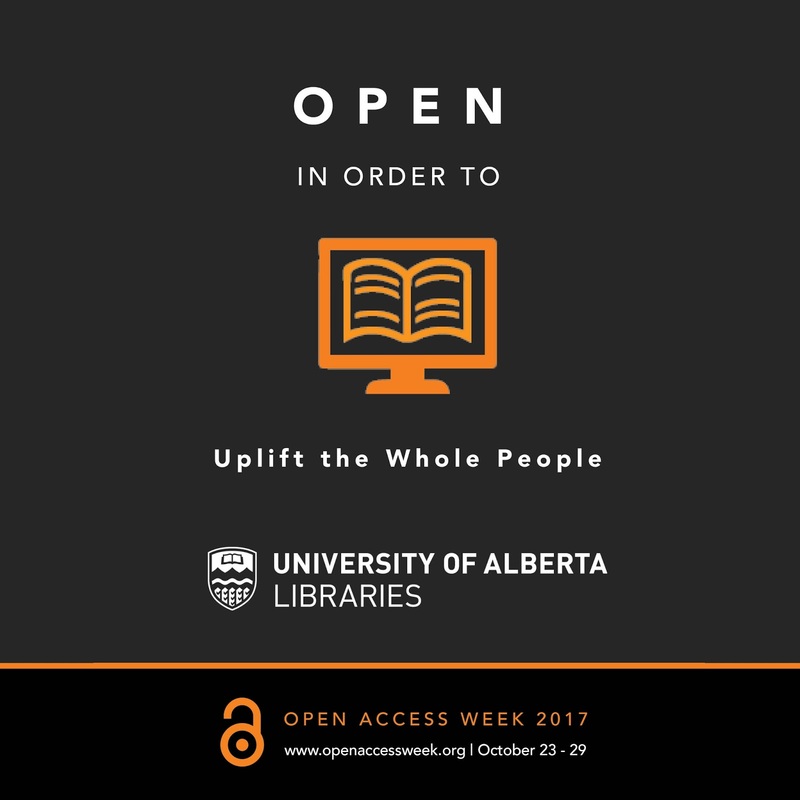 In honor of Open Access Week, we are highlighting two open access publishing projects that the University of Alberta supports. 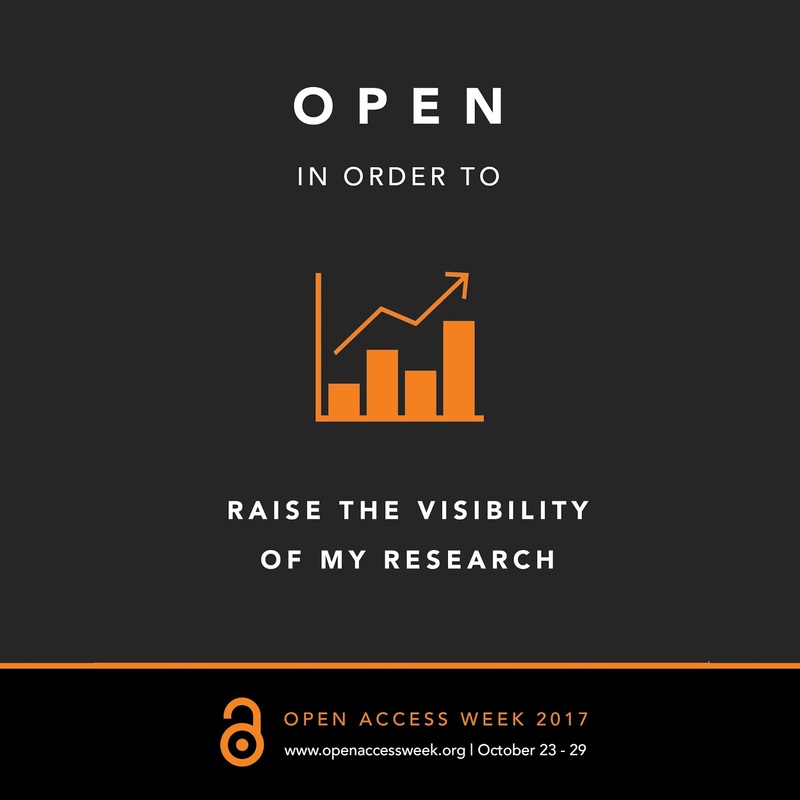 This week we’re celebrating Open Access Week 2017! The theme this year is “Open in order to _____”, so we thought we’d take some time to highlight some of the ways we support open access all year long. -remove barriers to sharing and reusing research. What are some of the ways we do this? We are experts in “open.” Our team helps researchers and students across the University navigate the world of open access, open data, and open education. Watch for workshops and events, or contact your subject librarian with specific questions. Throughout the Libraries, supporting open access, open data, and open education through our many diverse roles - from copyright and licensing expertise, to metadata and discovery work - is part of what we do every single day. The University of Alberta’s institutional repository, ERA: Education and Research Archive (and ERA A+V) provides free and open access to the University of Alberta’s intellectual output, including journal articles written by UofA researchers, theses and dissertations by UofA graduate students, reports, conference proceedings, posters, datasets, and more. ERA is an easy, convenient, and no-cost way for faculty to make their research open! For help depositing your work in ERA contact erahelp@ualberta.ca. For more than 10 years, the UofA Libraries have been publishing open access journals, and now provide free-of-charge journal hosting for any open access Canadian journal. This service has expanded to include more than 45 titles, representing a diverse range of subject areas, from important local and Canadian journals to student and community publications. Using the open source software, Open Journal Systems, we've helped editorial teams publish thousands of articles, all freely accessible for researchers, policy makers, practitioners, and students around the world. We also have been working hard to make important materials from our collections and partner libraries open and available through an extensive digitization program. Our Peel’s Prairie Provinces website hosts thousands of historic photos, newspapers, books and pamphlets we’ve digitized. Many collections once hidden on our shelves are now available online, open and free for anyone. Not only do we share our own data, such as expenditures, metadata, and usage statistics, we also help researchers find and use open datasets, and provide them with the tools to share their own data with others. You can find many UofA researchers’ datasets in our data repository Dataverse and we have been important partners in major national research data initiatives like Portage, promoting shared national stewardship of data resources. Staff at the John W. Scott Health Sciences Library have unearthed another cavalcade of weird and wonderful texts from the Rawlinson Rare Book Collection to tantalize antiquarian tastes. Explore the secrets of nineteenth century alternative knowledge systems including mesmerism and phrenology. Learn about some of the early strategies medical professionals used to rebuild broken bodies, including the wonders of First World War plastic surgery - not for the faint of heart! 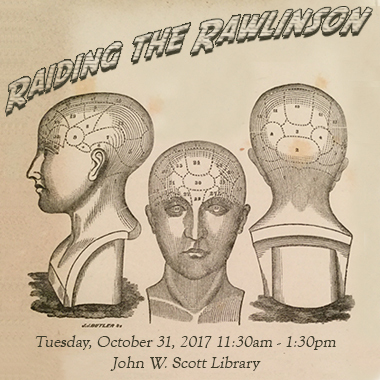 Visit the Scott Library between 11:30am and 1:30pm on October 31 to get up close and personal with these fascinating, far-out folios. 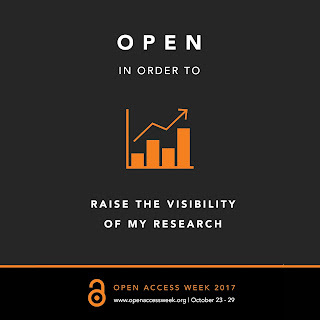 Every year, universities, colleges, research institutes, and libraries around the world host events celebrating Open Access Week, an opportunity to explore and promote open access in its many different forms. 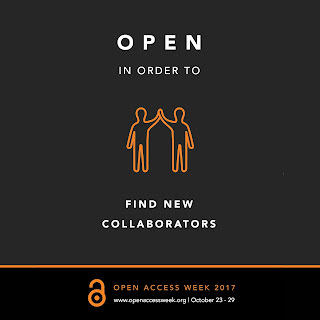 This year's Open Access Week runs from October 23 - 29. The theme, "Open in order to ..." is an invitation to answer the question of what concrete benefits can be realized though open access. We've put together a list of our top picks for FREE events happening here at the UofA, and online. 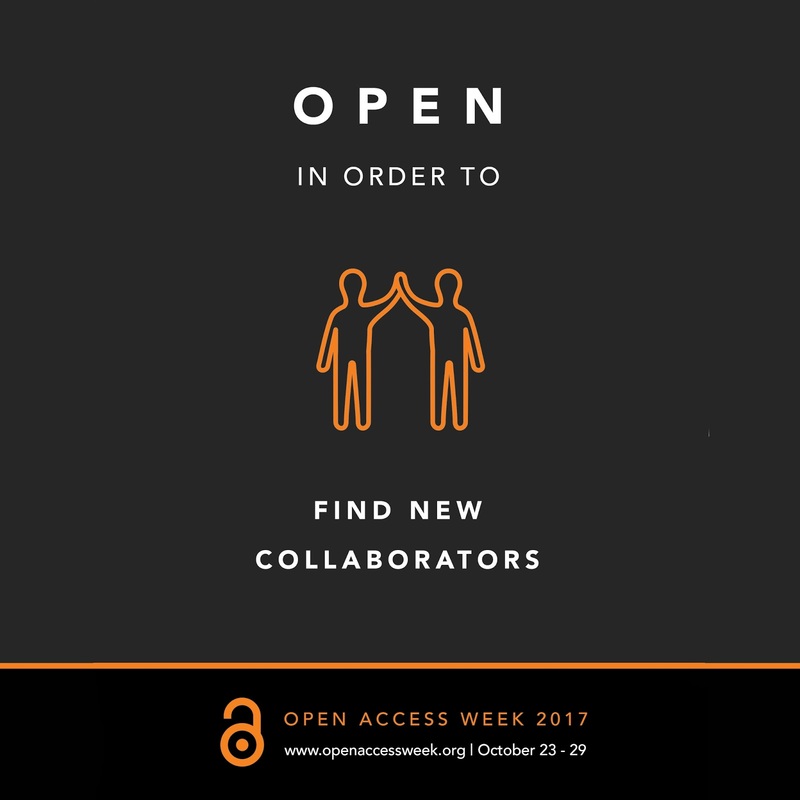 Find many more on the global 2017 OA Week Calendar, or follow #openaccessweek2017 on Twitter. Join UofA librarians Alison Henry and Victoria Wong for a session on tools for collaborative work, open data and OA publishing. 12:00 - 1:00 pm Speedy Introduction to Open Education, 5-02D, Cameron Library, University of Alberta. World Bank and OA Panel, Livestreamed from World Bank HQ in Washington, DC. 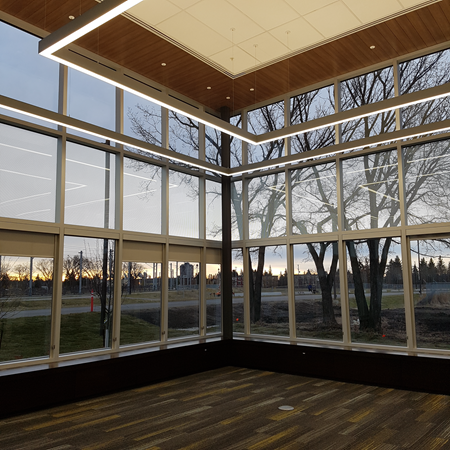 John L. Haar Library (multipurpose room 7-269), MacEwan University City Centre Campus 10700 - 104 Ave. Academic libraries are not just about books and research: they’re also about building communities. Oftentimes building a community is about positive relationships and helping people find the tools that they need to succeed. Sometimes though, the best thing a library can do for a community is give them space to use the tools they already have. 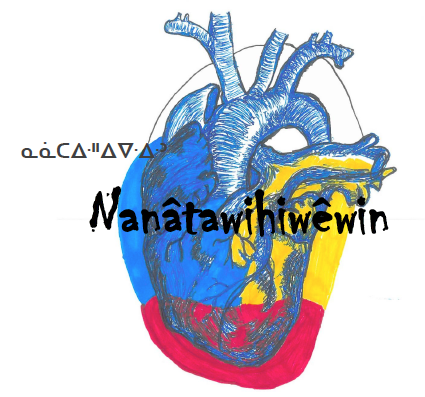 Nantâwihiwêwin: Doctoring; healing day after day for a long time is a project that straddles this line, supporting those who participate to share their own stories, and turn our spaces into their own. “a zine that is meant to act as a tool for achieving the highest form of ‘decolonization’ which is to be healthy, resilient and Indigenous, especially while traversing the adversities of institutional learning and living. Hearing those words, my first instinct was to help. Helping is the library way, after all. But how do staff, faculty, and members of an institution help when what students want is to empower, and speak for themselves? My answer is to offer space, support, and a platform for outreach. Living in a city with many universities and colleges, there are a lot of Indigenous students receiving an education. This meant that the project needed to extend beyond our University. Currently, we are engaging students from the University of Alberta and Yellowhead Tribal College, and the hope is to extend the project to Grant MacEwan and other institutions. The Greater Edmonton Library Association (GELA) has also jumped on board: the association is currently working the Remand Centre to bring creative writing workshops to incarcerated peoples. Nantâwihiwêwin was well received and created a special healing environment for everyone involved. It leaves us with open hearts and open minds towards the notion of reclamation and healing as a community. If you or anyone you know may be interested in participating, the University of Alberta Libraries is hosting a Zine Making Workshop on October 25, at 2:30pm in the Kiva Room. If you are unable to make it, you can always create a submission and bring it to HT Coutts Education and Physical Education Library. Otherwise, we look forward to distributing the final zine to everyone in our community. Kinanâskomitin. “I am grateful to you”. Even before the release of the Truth and Reconciliation Commission of Canada: Calls to Action, University of Alberta Libraries have been implementing ways to reconcile with Canada’s dark past and to move forward by creating positive, meaningful relationships with the Indigenous community. This is reinforced by the University’s 2016-2017 strategic plan “For the Public Good”, where we are all encouraged to “Foster learning opportunities across our campuses that enable student, staff, and faculty participation in reconciliation” (p. 10). As a Métis person and educator, reconciliation is something that is near and dear to my heart. In fact, I have started working with RISE (Reconciliation in Solidarity Edmonton) to gain more understanding of my own family’s past in light of everything that has happened between Canada and Indigenous people. 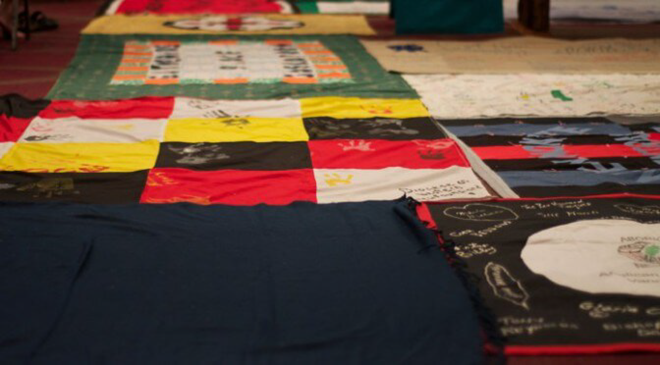 Through this journey, I am often faced with the question of: “how do you encourage reconciliation?” and “what is the most effective way to educate students about Indigenous history?” This is where I came across the KAIROS Blanket Exercise. So, what is a Blanket Exercise? I’ve been asked this questions many times. Whether it’s a family member at a holiday meal or a friendly conversation in the coffee line up, I always say the same thing. It’s a way to educate people on a topic that not everyone is fully aware of -- a way to present Canadian history from an Indigenous perspective. This is a perspective that has been muted throughout history. In fact, remembering my elementary school days, I don’t recall learning much about Indigenous culture. To be honest, I think we spent more time talking about pirates than Indigenous Peoples. My own family history was muted as well. We were actively told to hide our true identity as a survival mechanism. This left me and my generation grossly unaware of the struggles that Indigenous Peoples have dealt with for more than 150 years. The KAIROS Blanket Exercise is an excellent tool for building a more accurate image of how Canada came to be what it is now. Through an interactive script that engages all participants, it takes participants through time prior to any European settlers setting foot on Turtle Island. By immersing yourself into the activity, every participant feels the impacts that the Canadian government continues to have on Indigenous Peoples. Now, what does this have to do with the library? This is a tough, but wonderful question. Librarians are not all about books and databases. I see librarians as educators, activists, and helpers. Most important, libraries are a place of community. So, if a student and/or faculty member walks into the library I instinctively want to help. This is what happened with EDU 211: Aboriginal Education and Contexts for Professional and Personal Engagement. A friendly conversation about library services evolved into a personal conversation about my involvement with RISE and my role in facilitating Blanket Exercises. It was the perfect combination of relationships and willingness to try new things in the classroom. Since that initial conversation, librarians gathered to help! We gathered together in the Education Kiva room to share the exercise with 60 students and future educators. Since this initial Blanket Exercise, I have been asked to facilitate more within the Education community. I am extremely grateful and humbled by the experience and being able to share my story with the students. By sharing these moments with the University community, I hope that this will help to inform future generations of instructors and students. Did you know that over 30% of students at the UofA do not get an adequate amount of sleep? This deficit can result in poor grades, cognitive deficits, and poor physical and psychological health. Sleep, like good nutrition and exercise, is considered one of the foundations necessary for a happy, healthy life. For many post-secondary students, sleep is a major self-care challenge and a potential obstacle to success. Yuluan Wang and Vineet Prasad, graduate students with the Faculty of Rehabilitation Medicine, are on a mission to make the UofA a sleep-healthy campus. Earlier this year, Yuluan and Vineet were awarded a Heroes for Health grant for their proposal to raise awareness of the effects of sleep on health. 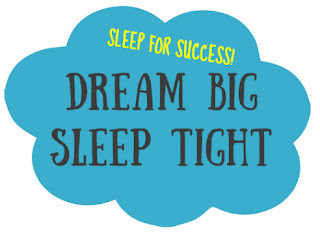 As a part of this initiative they have created an eClass course called Dream Big, Sleep Tight, where members of the UofA community can learn about the perils of sleep deficiency and how to combat it. To help promote this course and the overall importance of sleep, Yuluan and Vineet have put together an exciting new exhibit at the John W. Scott Health Sciences Library. Exploring everything from hidden sources of caffeine to gadgets that can help and harm sleep this exhibit has plenty of solutions to help you catch the Zzzs you need to help you succeed. The Sleep for Success Exhibit will be hosted at the Scott Library from October 16 until November 19, 2017. “David has been a catalyst for my learning. I wish every grad student on campus could benefit from his presence or their own subject librarian during their learning journey...” - Yichuan Wang, Ph.D. student in Resource Economics and Environmental Sociology, one of the Award nominators. University of Alberta Librarian David Sulz is known for his enthusiasm for learning and inspiring that in others. He listens to students, creates a safe environment, and is an active learning partner. Recently, he was recognized for these qualities and awarded the UAlberta Excellence in Learning Support. 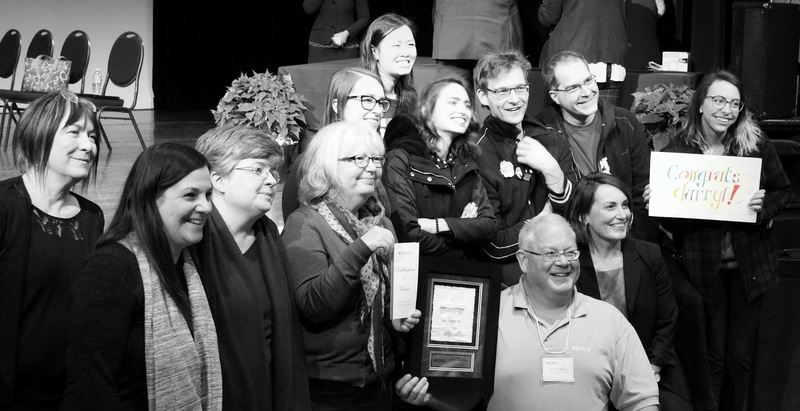 This award is specifically designed to recognize members of the University community whose role does not involve teaching, but who nonetheless directly and significantly contribute to the student learning experience. Those who nominated David for his excellence in learning support were graduate students, colleagues, and professors. Each mentioned David’s enthusiasm for learning and his role as a connector of students. He creates a very fun and safe space for struggle with idea formation and an atmosphere where the struggle is embraced as an exciting growth opportunity. His joyful personality, life wisdom, and listening skills make him an active catalyst for learning and great conversation partner. He uses alternative techniques to engage students and researchers to think differently about their subject and get excited about their learning. Whether he’s suggesting mind maps or encouraging students to explain their research in a sentence or two to a group of high school students touring the library, David makes learning fun. 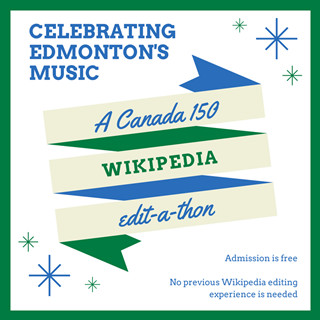 Join librarians from MacEwan University and the University of Alberta for a Wikipedia edit-a-thon celebrating the music of Edmonton. Organized in coordination with the Canada 150: Music and Belonging Project, and in conjunction with Open Access Week, this edit-a-thon invites anyone interested in contributing to information on Edmonton music, editing Wikipedia, and open access to join us for this short, informal event. Admission is free and no previous Wikipedia editing experience is required. Register on Eventbrite by Tuesday, October 18. 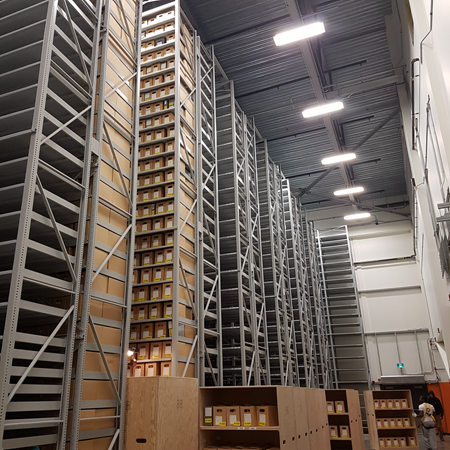 The University of Alberta Archives has begun its move to our new high-density storage facility, the RCRF (Research and Collections Resource Facility). The archives move involves the packing and moving of 31,477 boxes of materials or 1028 book carts. The move is expected to take 2 months. During the move, the archives collection is unavailable. 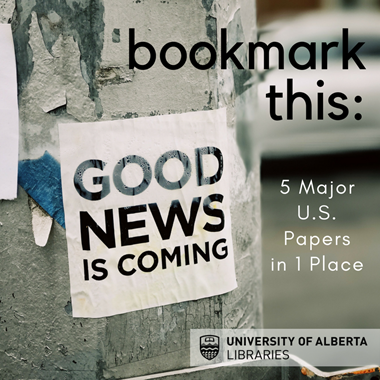 For more information, please contact Archives (archives@ualberta.ca).